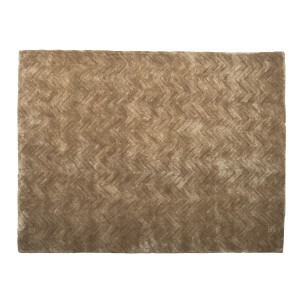 This large multicoloured wool rug is a great way to add warmth and tactile luxury to your home. Handpicked by our design team for its superb quality and price, the Africa rug measures 150 cm x 200 cm and is made of 100% wool. The multi-coloured rainbow stripes make this a superb flash of colour that adds character to a traditional or contemporary room scheme. 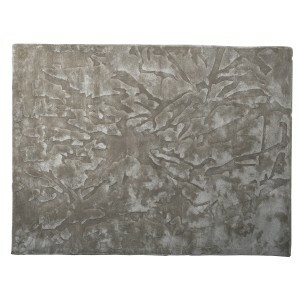 The rug looks stunning against a wood or dark tiled floor. 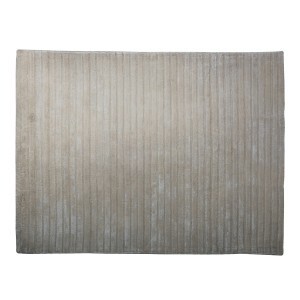 Or use it over a pale neutral carpet to break up your space and create a strong focal point. 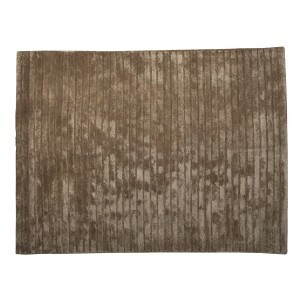 Rugs introduce instant colour and texture to a room. 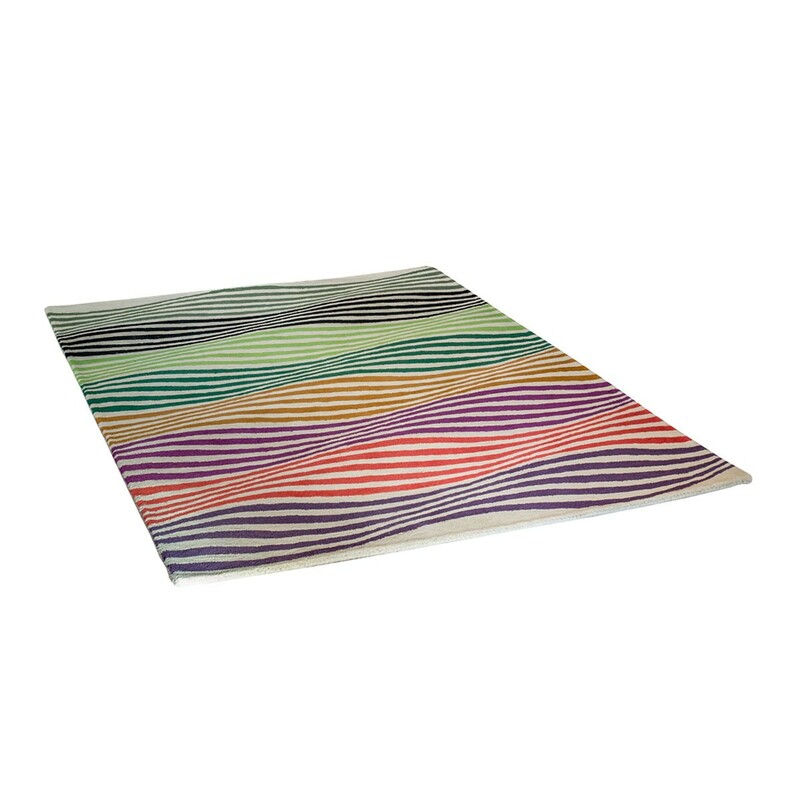 With its bold stripes, this design is a versatile and individual finishing touch. 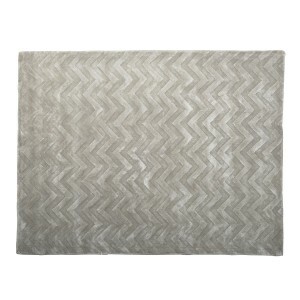 The rainbow effect of this lovely pure wool rug adds a vibrant dash of colour to revitalise a living area or bedroom. 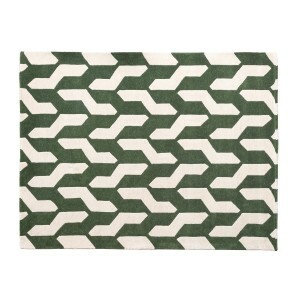 With stripes ranging from yellow to violet, green and black, this rug is so easy to accessorise. 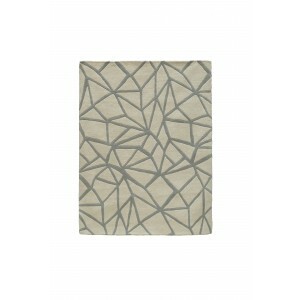 This bold rug would make a superb focal point between a sofa and chairs to warm up a large living space. 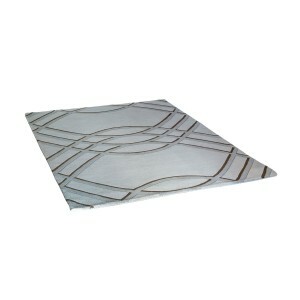 Or use it to draw the eye to a feature fireplace.